Official Freeview HD launch reveals new boxes and new channels | What Hi-Fi? The service will be available in 50% of UK homes in time for the World Cup, which starts on June 11th, with Freeview HD aiming for 90% coverage by 2012 in time for the London Olympics. You'll need a Freeview HD TV or set-top box to access the content, so you'll be pleased to hear there are a host of new boxes available starting from £100. "This is the largest and most ambitious launch in our history," says Freeview HD managing director Ilse Howling. But she did admit that she was "sorry" that Five HD would not be available on the platform from launch. BBC HD, ITV1 HD and C4 HD are confirmed (ITV1 HD and C4 HD will be simulcasts of the standard channels), with the possibility of "two further HD channels to come". One of those is expected to be a new BBC HD channel set to launch later this year, the Beeb having picked up the spare slot left empty by Channel Five HD, which will be broadcast on Sky from July. Five HD still hopes to join the Freeview HD service by 2012. From tomorrow some 4.5 million homes in places such as London, Liverpool, Manchester, Birmingham, Leeds and Cardiff, will be able to receive the service, with S4C Clirlun to launch in Wales by the end of April. 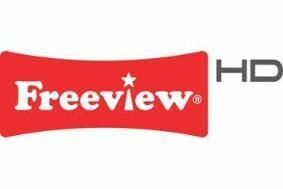 A £6m TV advertising campaign kicks off this Easter weekend under the slogan "HD goes Freeview". Programmes to be broadcast in HD on the service include the new series of Dr Who, Ashes to Ashes, Masterchef, The Apprentice and Britain's Got Talent, as well as key sporting events such as the World Cup, Wimbledon and the Grand National. Even ITV1's Prime Ministerial debate in the forthcoming election will be shown in high definition. • i-CAN Easy Freeview HD receiver, available from April, price TBC. • The first £100 Freeview HD receiver, the Vestel T8300, which may also be sold under other brand names. • Grundig GUD300HD receiver, available in May for £149.99, and to be sold at Harrods, Selfridges, Argos, Tesco, Costco and QVC. • Three PVR models from Digital Stream: DHR8203U (320GB HDD); DHR8205U (500GB HDD); and the DHR8202U (250GB HDD). All three will be launched on April 26th at prices from £270 upwards and on sale in Currys and John Lewis. These are in addition to the already announced Philips, Sharp, Toshiba, Humax and Sagemcom models. Watch our video review of the Humax HD-FOX T2 Freeview HD box.